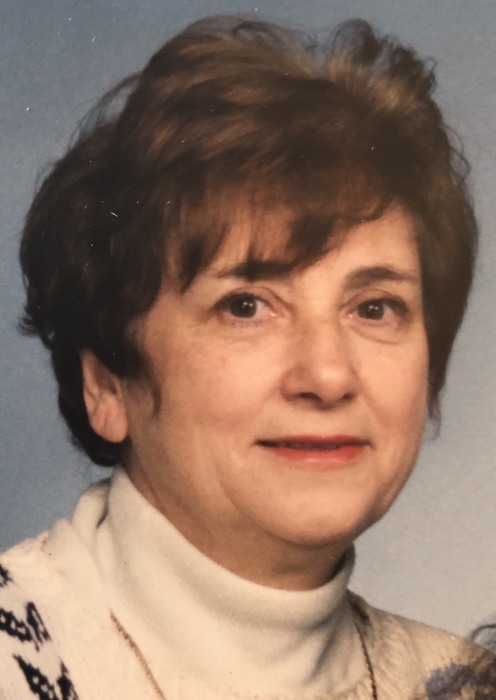 Obituary for Alicegrace M. (Colozzi) Cherko | DeMarco-Stone Funeral Home Inc.
Alicegrace M. Cherko, of Rotterdam passed the morning of February 5th, 2019 with her family by her side. Alicegrace was known for her love of reading, cooking, traveling and spending time with her family. As a special education aide at Schalmont Central Schools, she devoted herself to helping her students succeed. That love of caregiving transferred into all aspects of her life. She is pre deceased by her parents, Margaret and Pasquale Colozzi, and her husband Edward Cherko Sr. She Alicegrace is survived by her three children, Donna (James) Wilkes of Altamont, Edward (Toni) Cherko of Clifton Park, and Patrick (Sara) Cherko of Altamont. She also leaves behind seven beloved grandchildren, Alison and Megan Wilkes, Erin and Daniel Cherko, Bryce, Spencer and Sloan Cherko, and her cousin Joan Palmer, as well as many beloved nieces and nephews. A special thanks to Betty, Lori and Sonya for the loving care you gave to Alice in her last 6 months. Your kindness gave her and our family comfort during this most difficult journey. Calling hours will be held on Sunday from 4-6 pm at the DeMarco-Stone Funeral Home, 1605 Helderberg Ave.
Funeral services will begin on Monday, 9:15 from the funeral home followed at 10 am by a Mass of Christian Burial at St. Madeleine Sophie Church, 3500 Carman Rd. Entombment will be at Most Holy Redeemer Cemetery in Niskayuna.